The Brookfield Falling Ball Viscometer uses the simple — but precise — Höppler principle to measure the viscosity of Newtonian liquids by measuring the time required for a ball to fall under gravity through a sample-filled tube. This is imported Falling Ball Viscometer. 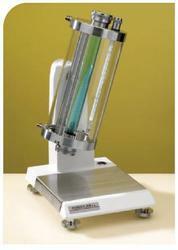 The Falling Ball Viscometer KF10 is based on the measuring principle by Hoeppler. It enables simple but precise measurements of the dynamic viscosity of light-transmissive Newtonian liquids. 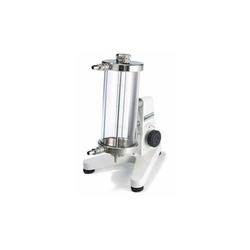 It is preferably used in research, in processing control and in quality control.